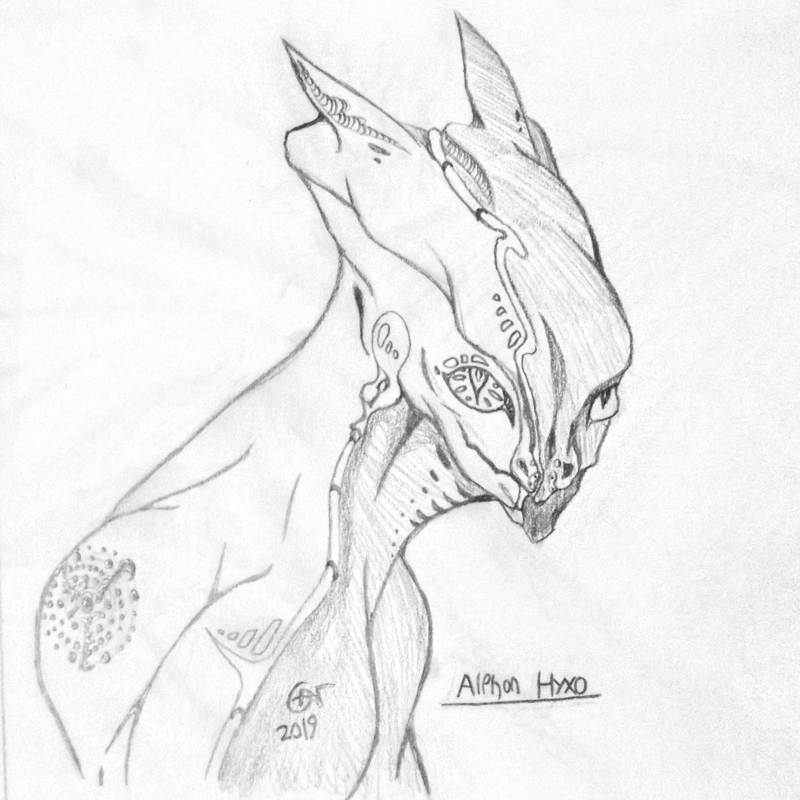 Alphon Hyxo (Full name Kalaris Ord Hyxo) is a Lejendairidan Hybrid, a rare genetic display of features present in both the Epilloq and Kuvmauta. He became involved in the First Galactic War at a young age, and saw to it that the conflict ended without the annihilation of the galaxy's sapient life. More than two centuries later, he remains personally involved with the operations of the Allied Species and the Lejendairida Special Forces. Others would usually retire given his position. Given his many decades of dedicated service, Alphon Hyxo has lost much of his body to incidents and combat. He has lost large portions of the right of his face, neck, and torso, his right arm and left leg, and his tail. The medical science institutes of Lejendairida and Araqualtoh have taken him as a sort of field-test for advanced bio-mechanics, a role which he has gladly taken.